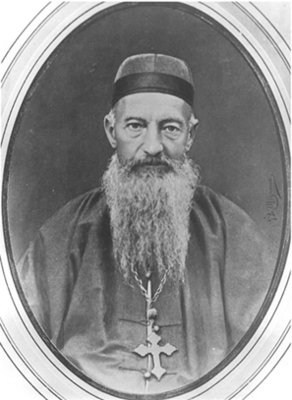 "Bishop St. Gregorio Grassi, OFM"
Bishop St. Gregorio Grassi, OFM, martyred at Taiyuan, 1900. Shanxi, China. B/W Photo, Formal Portrait.